Judge Roger J. 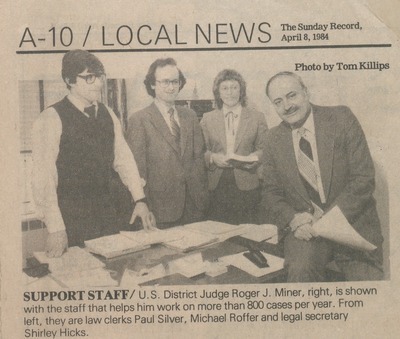 Miner, '56, shown with the staff that helps him work on more than 800 cases each year. From left are law clerks Paul Silver and Michael Roffer, and legal secretary Shirley Hicks.